We’re so excited to be announcing another new author joining the team! Please extend a warm welcome to Jennie K. Brown! 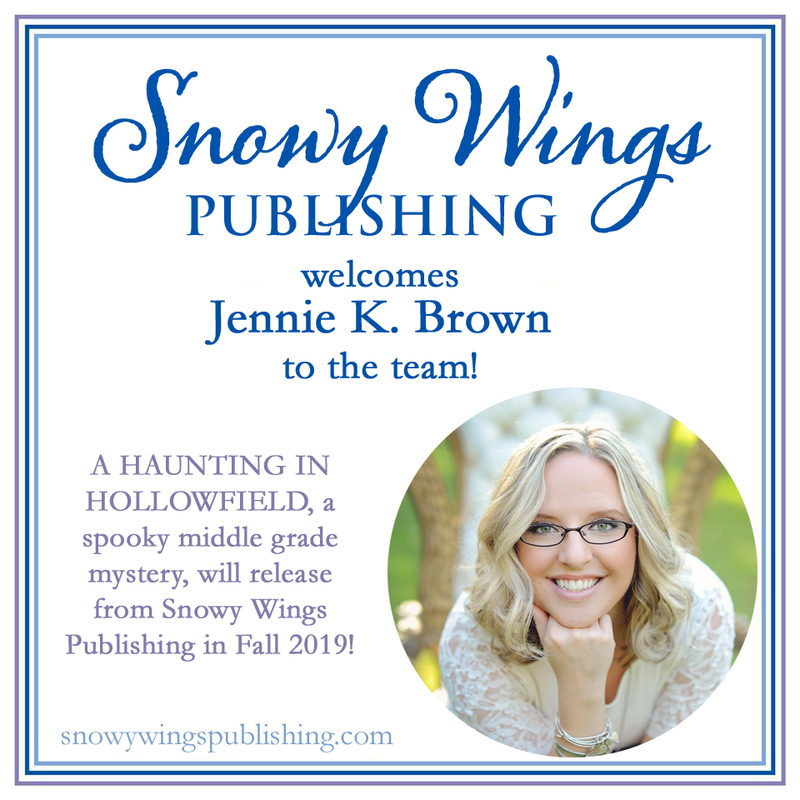 Snowy Wings Publishing is pleased to announce that we will be publishing A HAUNTING IN HOLLOWFIELD, the first book in a middle grade mystery series about a young girl who works in her family’s antique shop and can see the memories associated with the antiquated items she touches, in Fall 2019. Jennie is also the author of the award-winning Poppy Mayberry series. We can’t wait to share A Haunting in Hollowfield with you—we know you’re going to love this spooky MG mystery! Welcome, Jenny!!! So great to see you with Snowy Wings!